The word 'Easy' incorporated in the name of these products is a true reflection of their innovative design and ease of use. These application aids for hosiery and arm sleeves are washable, durable and are the ideal solution for problems experienced when applying compression garments. To work effectively, compression stockings must apply the right amount of pressure to the leg. This can make them difficult to apply. 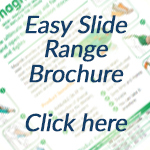 The Easy-Slide range has been designed to specifically solve these problems. 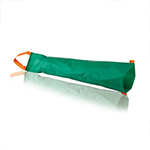 Easy-Slide Arm has been specifically designed to alleviate the problem experienced when donning arm sleeves. 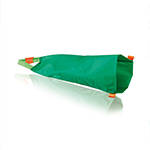 Easy-Slide Arm is made from very smooth material, which has been treated withn special coating. These qualities create a super – smooth aid that reduces friction significantly. Magnide provides an effective solution for patients who wear compression stockings and tights with closed and open toe. Hosiery can now be donned without difficulty. Magnide is made from a smooth material that reduces friction significantly helping to minimise the physical strain experienced by clinicians, carers and patients. Magnide the ultimate solution to alleviate problems when donning closed toe compression stockings and tights. Designed to minimise physical strain by using a smooth material treated with a special coating to reduce friction significantly. Easy Slide has been designed as an easy to use application aid for open toe stockings, try this product to see how much easier it is putting on compression stockings. 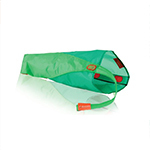 Easy Slide Arm has been designed as an easy to use application aid for arm sleeves providing a better standard of life for patients that may suffer from Lymphoedmea and other conditions.